Come Learn Lecture Capture with Anthem! 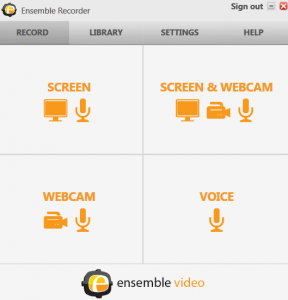 We’ve already made a few announcements, but wanted to remind you that if you record lectures in the classroom, please be aware that we are now using Ensemble Anthem, not Relay. All classrooms have been updated with this change. You can also come see us during an up coming open lab time or give us a… Continue Reading Come Learn Lecture Capture with Anthem! Do You Auto-Publish Your Lectures? Make this Change! If you record lectures in the classroom and use a playlist to auto-publish them to your course, you’ll want to update your settings. Because we are no longer using Camtasia Relay to record you’ll need to change the auto-publishing setting to Ensemble Anthem. Here’s how: In your Ensemble Media Library, click Playlists from the menu… Continue Reading Do You Auto-Publish Your Lectures? Make this Change!